Judge Rebecca Pallmeyer's recent opinion in Giffney Perret v. Matthews serves as a primer on Illinois non-compete law. As has become the custom, the opinion focuses on whether the language of a restrictive covenant was too broad (it was), whether it should be modified (it wasn't), and whether the employer could satisfy the rigorous "legitimate business interest" test (it did...sort of). The case is a crisp read through all the rules and standards non-compete lawyers must consider when advising their clients about the enforceability of a basic employment non-compete. But the real nub of the opinion, for me at least, sits in Footnote 16, and it's a point I've been waiting for a court to address. (2) access to confidential business information the employee has tried to use for his or her benefit following the termination of employment. 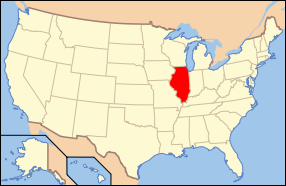 To be sure, other states recognize a wider range of protectable interests (e.g., goodwill, ordinary customer relationships, special training), but Illinois is rigorous in requiring the employer to meet one of the two cited above. Even the customer relationships test is exacting - it requires an employer to prove those relationships are "near-permanent", and courts have two different tests interpreting what this even means. Judge Pallmeyer starts to hint in Footnote 16 at a bigger problem with the business interest test. In the context of the case, the court found that the plaintiff (Giffney Perret) had no protectable interest in its customer relationships. Its printing business was primarily engaged in ordinary sales, and the relationships with its clients were somewhat fleeting; it put printing jobs out to bid with competitors such that customers multi-sourced with regularity. In Illinois, this ordinary sales type of business won't cut it as far as the near-permanency test goes. "Moreover, even looking past the unreasonable terms in the non-solicitation clause, [Plaintiff's] covenant did not need a non-solicitation privision in order to protect any legitimate business interest established here. Because the covenant has a non-disclosure clause to protect [its] interest in confidential information, a non-solicitation provision was really only necessary if it were to protect relationships with near-permanent customers. As discussed above, [Plaintiff] had no protectable interest in near-permanent customers, so the non-solicitation provision as a whole was not 'necessary to protect the promisee.'" Under this reasoning, it is hard to imagine how industry non-compete agreements (barring employment, not just solicitation of customers) would be valid in Illinois against employees. Put another way, if the interest an employer is limited to protecting through a covenant extends only to near-permanent customers or confidential information, then a general industry non-compete is by definition overbroad. Only activity restraints against solicitation of customers and disclosure of confidential information should be enforced. Will we see anything more from courts on this point? It's hard to say, since the rules are well-established and there are a litany of cases enforcing industry-wide bans on employment with a competitor. But counsel should be aware of this opinion if a general non-compete is at issue. Arguably, the presence of a non-solicitation and non-disclosure clause makes the non-compete duplicative and not tied to any protectable business interest.